The Commission announced on 23 November 2016 that in light of the passage of the Independent Commission Against Corruption Amendment Act 2016, it is appropriate that the Commissioner, the Hon Megan Latham, returns to the Supreme Court. The Commissioner’s final editorial for Corruption Matters is provided below. The Commission’s work during the last financial year is well documented in the ICAC’s 2015–16 annual report, which was furnished to the NSW Parliament on 27 October and is available from the ICAC website. It was a year in which challenges to the ICAC’s jurisdiction, and the subsequent enactment of the Independent Commission Against Corruption Amendment Act 2015, had an impact on the timeliness, level and breadth of the Commission’s activity. Confusion over these challenges may be the reason for the drop in corruption allegation complaints we received in the reporting period (from 3,146 last year to 2,436 this year). Despite the obstacles, the Commission retained its focus and output in this period was characteristically high. The ICAC held six public inquiries, commenced 10 full investigations, and tabled four investigation reports that lead to 21 serious corrupt conduct findings. During this time, the Commission also conducted 175 anti-corruption presentations and training workshops, reaching approximately 4,700 people, and responded to 94 requests for corruption prevention advice. More achievements from 2015–16 are summarised here. 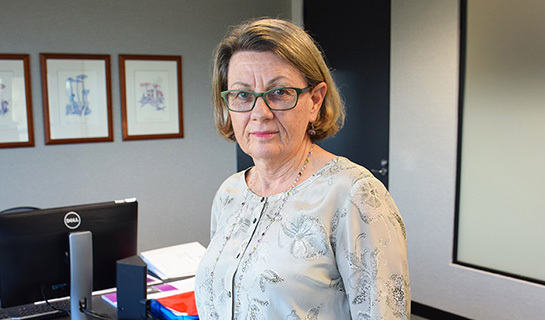 With regard to corruption prevention work, the Commission intends to release two publications; one on employment screening practices to better detect résumé fraud and another that addresses the governance systems in the Local Aboriginal Land Councils network. There are stories on both these research projects in this issue of Corruption Matters, as well as stories on how to write better key performance indicators into contracts and the plans by the NSW Ombudsman and other government agencies to improve the complaint-handling experience for members of the public. This edition features an interview with Special Agent George Bokelberg, FBI New Orleans, who is part of a distinguished panel of keynote speakers lined up for the Australian Public Sector Anti-Corruption Conference (APSACC) in Sydney next year. For those that may not know, APSACC has been running since 2007 and is widely considered to be Australia’s leading anti-corruption conference, attracting local and international speakers and participants. Along with the Queensland Crime and Corruption Commission, the ICAC is currently putting together an exciting program and now is a good time to learn more about how you, your colleagues and your organisation can get involved. On a final note, I would like to thank readers for their continued interest in the Commission and its work. I also extend my thanks to readers of Corruption Matters who recently participated in an online survey on whether the Commission is hitting the right mark with this biannual newsletter. Responses indicate that, by and large, that is the case. Some cosmetic tweaks have already been undertaken to the format and the Commission intends to keep you well stocked with more of the stories you’ve indicated that you would like to read.